Common baboons (genus Papio) are distributed throughout the savannas and woodlands of sub-Saharan Africa and southwestern Arabia. Six species are now recognized: the Guinea baboon (P. papio), the olive baboon (P. anubis), the hamadryas baboon (P. hamadryas), the yellow baboon (P. cynocephalus), the chacma baboon (P. ursnius), and the Kinda baboon (P. kindae). This genus is quite diverse in terms of behavior, size, and coloration, and - being largely terrestrial and tolerant of human environmental modifications - has been the subject of much biomedical and behavioral research. I use genetic data to probe the evolutionary history of this group of primates. Inferring the baboon evolutionary tree allows us to develop and later test hypotheses about when and why species evolved novel behavioral and morphological traits, and provide necessary evolutionary context for researchers who use baboons as model organisms in biomedical or behavioral research. Population-level studies of baboons using quickly-evolving genetic markers allow us to determine the extent and direction of gene flow between baboon species, giving insights into how hybridization affects the evolutionary process. How are baboon species related to each other? When did the species diverge? 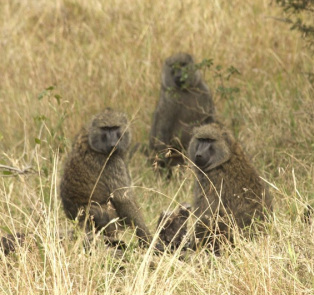 How has hybridization affected the evolution of baboon species? How and why did unique traits - in behavior, physiology, and body size/shape/color - evolve in each species? What is the genetic basis of these unique traits? Patterns of genetic variation in living populations are the product of past conditions, including past population size. We can therefore use genetic data to infer changes in population sizes over time. I am particularly interested in understanding how past climate change impacted mammal and plant populations in Africa. I am developing projects using 2nd generation DNA sequencing technology to look at the timing and extent of population size changes occurring during periods of rapid climate change from the last glacial maximum to the present. 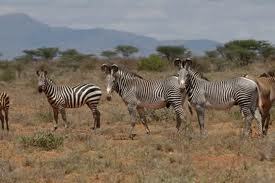 Understanding how past climate changes affected population size will shed light on processes such as speciation, and also are highly relevant for developing plans to mitigate the effects of future climate change on wild populations, especially endangered ones like Grevy's Zebra. I have been involved in a number of projects relating to conservation, including the development of molecular markers useful for conservation genetics and identifying patterns of intrageneric hybridization and introgression affecting isolated populations of highly endangered species. 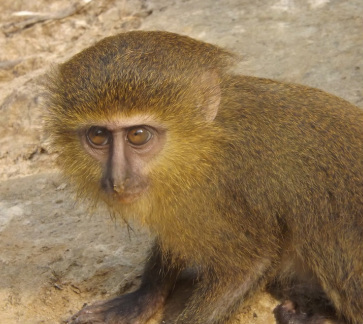 Most recently, I have been involved in the identification and characterization of a species of African primate completely new to science, Cercopithecus lomamiensis. Read about it in the BBC and the New York Times. I am developing a project with Christina Bergey and Todd Disotell at NYU to explore the evolution of the genome of anthropoid primates (New world monkeys, Old World monkeys, and apes). This will involve sequencing (via short reads) the genomes of the roughly 35 anthropoid genera not yet sequenced. We aim to use this large and exceptional dataset to look for regions of the genome that potentially influence important adaptive traits of major monkey and ape lineages. In addition, we will be able to infer by far the most reliable evolutionary tree of anthropoid primates, as well as the best estimates of the timing of the origins of major primate lineages, and indeed date of the origin of the Order Primates itself.